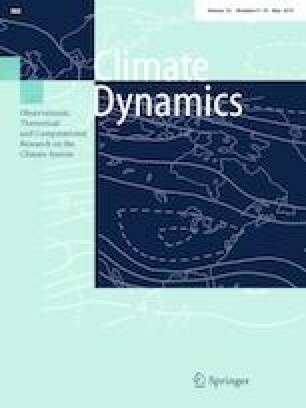 The cause of asymmetric atmospheric circulation responses over the tropical western North Pacific (WNP) to El Niño and La Niña was investigated through observational analyses and idealized modeling experiments. Firstly, column integrated moisture and moist static energy budget analyses were carried out to reveal the cause of asymmetric precipitation anomalies over the WNP. The result indicates that negative nonlinear moist enthalpy advection anomalies occur in both El Niño and La Niña, and they tend to induce a negative precipitation anomaly in the key WNP region and thus an anomalous anticyclone during both El Niño and La Niña winters. This, together with linear moist enthalpy advection, results in an asymmetric atmospheric circulation response. Secondly, the relative roles of the nonlinear moist enthalpy advection and the zonal shift of longitudinal location of anomalous heating over the central-eastern Pacific between El Niño and La Niña were investigated through an anomaly general circulation model. It is found that both the nonlinear advection and the zonally asymmetric heating contribute equally to the observed zonal shift of the anomalous WNP anticyclonic and cyclonic circulation centers between El Niño and La Niña. This work was supported by NSFC key project 41630423, National Basic Research Program 2015CB453200, NSF Grant AGS-1565653, NOAA Grant NA18OAR4310298, and NSFC Grant 41875069. This is SOEST contribution number 10679, IPRC contribution number 1374, and ESMC contribution number 257.